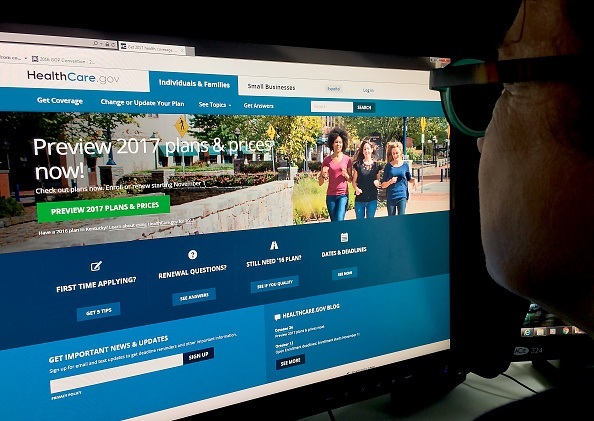 It is a bomb that everybody knew was coming but few realized how potent the increase in Obamacare rates could be with just 2 weeks to go before voters go to the polls on November 8, 2016. Every single swing state is getting hit with stinging rate increases that have already affected voters in Minnesota. After Minnesota’s reliable Democratic champion of Obamacare, Governor Mark Dayton came out recently and proclaimed “the affordable care act is no longer affordable,” the reliably blue state quickly migrated to a toss-up state. The increase in Minnesota could be above 50% for healthcare coverage. Minnesota has 10 electoral votes up for grabs on Election Day. Several other critical states will be seeing Obamacare increases between 20% and 40%. Those states include: Pennsylvania, Colorado, New Mexico, Maine, North Carolina and Iowa. These states represent another 59 Electoral Votes. The next tier of states will see estimated rate increases of between 10% and 20% and again this is on the low end of projections of premium increases. The states in this group include: Michigan, Florida, Wisconsin, Ohio, New Hampshire, Virginia and Nevada. These states account for another 96 electoral votes. Minnesota has already swung into the toss-up category and with rate hikes hitting like a runaway freight train the question is will other states soon follow. You see it doesn’t matter if the national news media covers the story because big papers in these states are doing it. The left-leaning Charlotte Observer for example did a front page story decrying the shortcomings of the Affordable Care Act and declaring that with so many insurers like United Healthcare, Humana and Aetna all but jumping ship that plans will get harder to find and the cost much harder to swallow. The Union Leader paper in New Hampshire says the ACA is a bad idea that “keeps getting worse.” And then went on to say in an editorial that the whole ‘Obamacare scheme was set up on a false premise.” Adding that you cannot force people to buy insurance they neither need nor want. In Pennsylvania, PennLive reports that on average rates will be jumping 33% in 2017. For example a 21 year old non-smoker will go from $193 a month to $345 a month for a modest mid-level plan. The cheapest plan available at all to a 40-year-old non-smoker in Pennsylvania is $441 a month. Smokers will pay significantly more. The story is the same all over the country and the story is getting coverage, lots of coverage despite being largely ignored by the corporate media. The bottom line is clear: if the states hit hardest by Obamacare rate increases move from leaning Hillary to toss-up or leaning Trump this could be the October surprise that was no surprise at all and no matter how hard the media tries to ignore it is affecting how people vote. I said weeks ago that the Obamacare rate increases had the potential to change the outcome of the election and with so much negative press from Nevada to North Carolina it is hard to imagine it won’t have a serious impact. Actually with just days to go thinking you can avoid the subject of massive healthcare rate hikes might be a bit more crazy it seems.